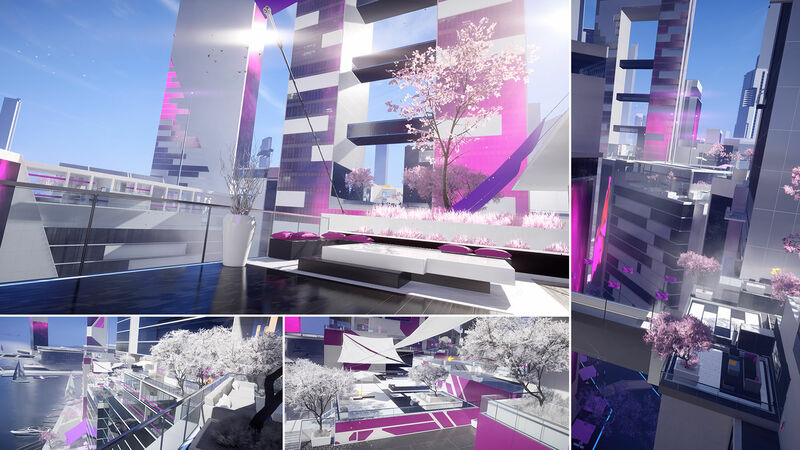 If there is one complaint I have about the original Mirror’s Edge, aside from the “combat is terrible” refrain, is that I’d have liked to see the city explored more, almost as a character of its own. The story is set in an authoritarian dystopia, but we don’t actually get to see much of it outside of the first cutscene of the game. There is a lot of promising worldbuilding hinted at throughout the levels, but it’s not nearly as developed as it could have been. And the nation is called Cascadia. Thanks, you’re really helping out here. You can click on each image to see an high-res version and pick on all the little details. Look at that. That district is called Ocean Glass View, or simply The View. Look at all that immature use of colour. Disgusting. The View is the residential district, where people have their boring picnics on the beach, and it’s where those in power go before “getting invited to Sky City”, which apparently isn’t a euphemism. The Anchor is the posh place in an already posh town. It’s where the Corporations have their HQs, and where everything is too expensive for you, so don’t go there ok? And Downtown is where you’ll find the bourgeois, the people who want to be posh but can’t afford it. It looks terrible and it’s busy, so you can’t really run freely. I don’t know why you’d want to visit. At all. As for the three factions, the Runners are those like Faith who have chosen to live on the margins of the city, acting as couriers for whoever needs to operate off-the-grid. The Conglomerate is the oligarchy of Corporations running the country, and apparently they rely on the Runners at times, to scheme against one other. The Black November is a new organization lead by activist-turned-terrorist Rebecca Thane. Fed up with the oppression they were living under, and recognizing the ineffectiveness of their protests, they started using violent methods both against the oppressors and the silent majority who tacitly consents to perpetuate the system. It looks good, doesn’t it? It looks good. I failed. Help me out. Make it sound as terrible as possible. Tear it all apart in the comments. Of course, you can help yourself with the latest combat and story trailers. 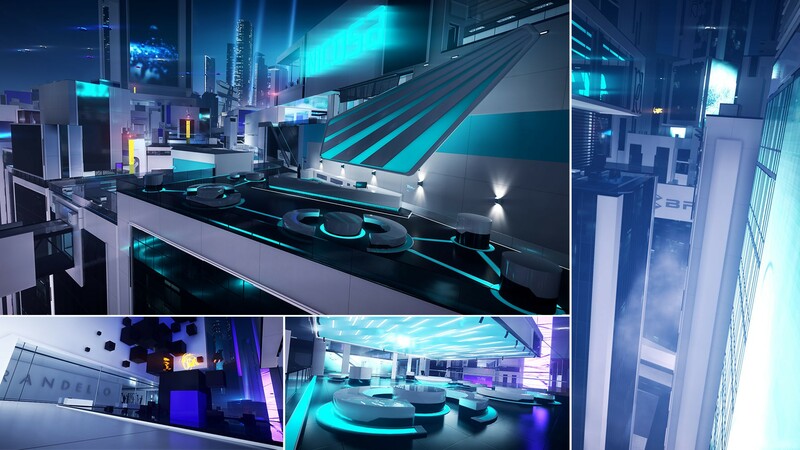 Mirror’s Edge Catalyst should be released on May 24th, and you can still sign up for the closed beta. 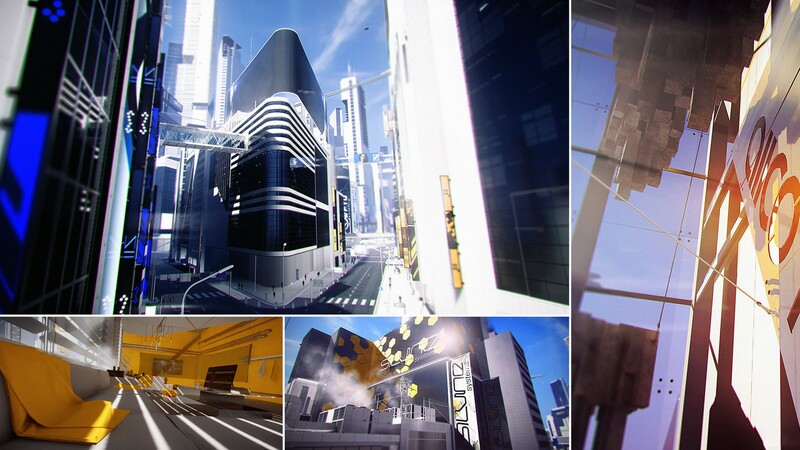 Tagged with Dice, Electronic Arts, Mirror's Edge, Mirror's Edge 2, GDC 2016, Mirror's Edge Catalyst. CliffyB's LawBreakers To "Dial Up The Maturity"